Arrangements in the care of the St. George Funeral Home (755-3533) 26 Portage Street, St. George NB. 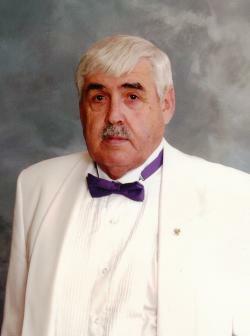 A Masonic Tribute Service and an OES Service for Robert will be held at the funeral home on Sunday beginning at 3:00 pm. Visiting for Robert will be held at the Sea View Full Gospel Church, Back Bay NB on Monday from 2-4 and 7-9 pm. The service will be held from the church on Tuesday at 2:00 pm with Rev. Randy Crozier officiating. Interment will take place in the St. George Rural Cemetery in the Spring. In lieu of flowers, donations in Robert's memory to Charlotte County Cancer or to the NB Heart & Stroke Foundation would be greatly appreciated by the family.